St. Petersburg, FL. – May 24, 2011 – As a sign that reefer madness may be subsiding; attitudes about the criminalization of marijuana may be changing among the elders of our society, as the more than 70 million of the baby boomer generation, one to widely experiment with recreational drug use, have and will become grandparents. GRAND Magazine, the online magazine for today’s grandparents, released today results from their poll question which appeared in the March/April issue. It asked readers if it was time to legalize marijuana. 85% responded that they agreed it was. The pot proponents argued that it is hypocritical to outlaw pot when cigarettes, alcohol and fat-laden foods are legal but account for so many health issues among our population. They point out that marijuana is used to treat medical symptoms such as pain and nausea, and that in some states it is legal for shops to dispense medical marijuana. The billions that are spent in the U.S. on policing and courts related to this issue could be spent on better schools or infrastructure. Circa the 1960s began a time with widespread experimentation with many recreational drugs. Grandparents who are part of the baby boomer generation (those born from 1946 to 1964) have a unique perspective on marijuana, having come of age during a time when pot use became mainstream. 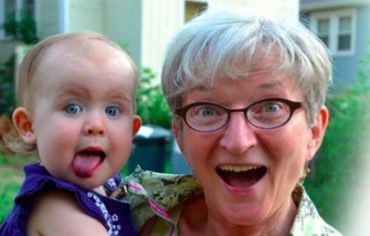 21st century grandparents are a group with a growing influence on the country’s youth as 5,000 adults each day in the U.S. becomes a grandparent, and are the primary caregivers for nearly 6 million children. In fact 75 percent of all non-parental care of children is provided by a grandparent, representing a large shift in family dynamics. Now it seems that as they guide and influence new generations, they view marijuana use increasingly as a harmless indulgence rather than a gateway to a lifetime of drug abuse. Shift Happens . . . So Get Over It!